Any word on Ederson in Pep’s presser? 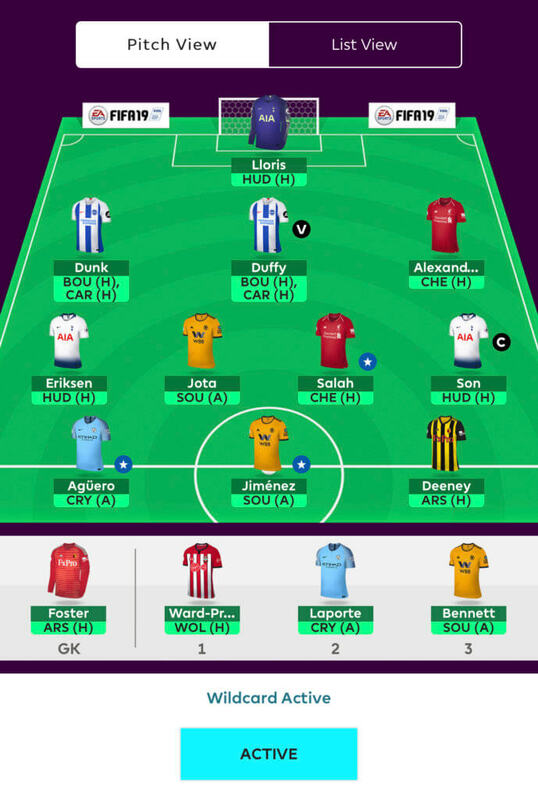 Is it better to bench TAA or Laporte for 34. I have noticed site team has Laporte on bench. My app showing green for Laporte! If it HAS to be one of them, probably TAA as he has the harder match on paper. What do people think of Trippier game time over the final 5 weeks of the season?? Can’t be guaranteed every minute I think, especially as they still play in the UCL. Its squeaky bum wild card time. Am i set up for the rest of the season? 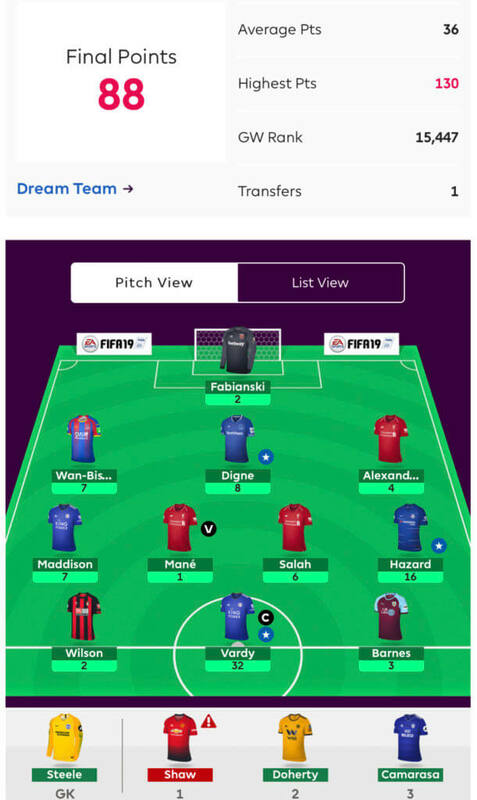 Looking for abit of a differential play as i am currently 90 points behind ML and at 200k for global ranking. No aguero, no united…captaining duffy…foolishness? or stroke of genius? Team looks good but I don’t have the cojones to captain a Brighton defender. Lack of City forwards may hurt but since you’re trying to make up ground, it’s high risk high reward. To summarize, I’d keep as is but would probably captain son. Best of luck! Anyone else wish the deadline would just pass so they can stop 2nd guessing everything? Hey Folks, which option do you prefer?